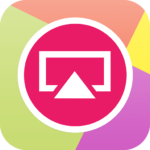 AirShou is a screen recording app developed by Shou.tv for iOS 10. It is however also available for iOS 9, iOS 8 and iOS 7. An APK version for android is also available of this app. It is mainly popular for recording high definition videos. The best part of this iOS screen recorder is that it don’t require a jailbroken device to run. Past year AirShou was taken down by the developers however it has been recently re-released for iOS 10 with some major updates in it’s functionality that allows it to consume less device capacity and processing power and return HD recording. Can be comfortably used on iPhone (4S, 5C, 5S, 6, 6 Plus, 7), iPad (2,3,4, Air, Air 2, Pro), iPod (5,6). Available for Android. Thus can be also used on PC/Windows by using an emulator. Records an amazing voice quality with no fuzz or background noise. Requires no jailbreak or rooted android device to run. Open the .plist file, begin the installation. Follow the screen and complete the install process. Open the app from main-menu. Just click the red button and start recording in HD. *Respected credit to SavagePool for developing the awesome app.